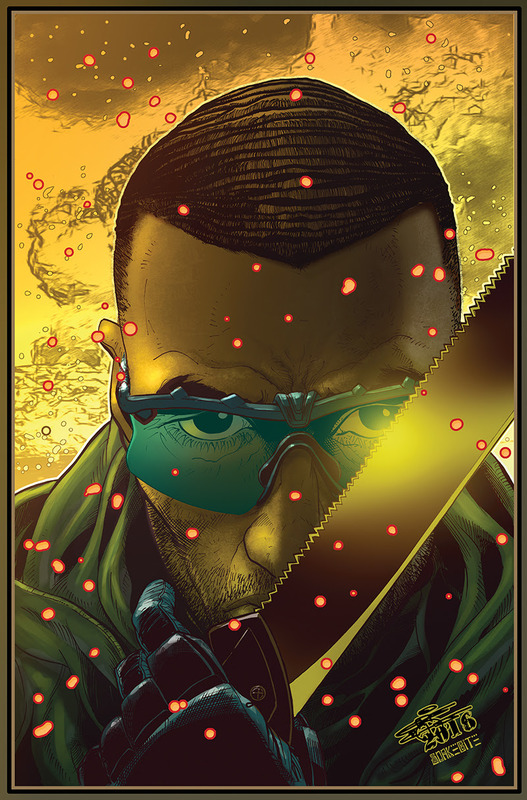 Dark Horse is excited to announce a new creator-owned project from Grindhouse and Archie vs Predator writer Alex de Campi: Bankshot. Action king ChrisCross (Convergence: Justice League of America) lends his high-octane line art to the new series, while Snakebite makes the art pop with his beautiful colors. Bankshot tells the story of the man known as Marcus King. To some, this enigmatic billionaire is a modern-day Robin Hood. To others, he's a terrorist and a deserter. The truth lies somewhere in between. When Marcus is hired by the Russian government to take back an old KGB laboratory in the Ukraine, he comes face to face with a specter from his past who knows all Marcus' carefully-buried truths. With everything on the line, Marcus needs to become for real the man he has always pretended to be. He also needs to punch a shitload of dudes and blow a lot of stuff up. The first issue of Bankshot (of five) goes on sale June 28, 2017.